Quantum Medical Corp® offers surgical instrument and medical equipment repair services for hospitals, surgery centers, distributors and OEMs. We repair hand-held surgical instruments, pneumatic/electric power equipment, flexible endoscopes, rigid endoscopes and dental instruments. And we excel in restoring the "non-repairable" instrument. 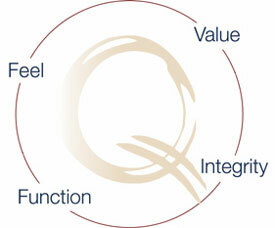 Let Quantum Medical help you with repair or replace decisions. We offer free assessments on whether to repair or replace the instrument - all you pay are shipping costs. Quantum Medical Corp provides surgical instrument repair services for hospitals and surgery centers nationwide. Founder Marek Jaworski, a Polish-born expert craftsman, opened West Coast Precision Instruments in 1992 that became Quantum Medical Corporation 11 years later to better reflect the company's growing national presence and value proposition. Quantum Medical puts your medical instruments in need of repair back into circulation.